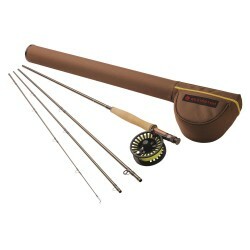 Fly fishing kits There are 3 products. The complete Q kit features a fly rod Q and preloaded fly reel Q with a WF Floating line, backing and a tapered leader attached for instant use straight out the rod tube. Available in three single-handed and two double-handed fly fishing kits. Redington - Path Combo Outfits - 4 pieces. 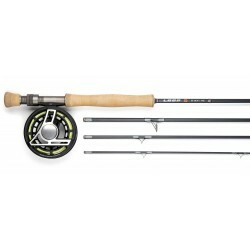 Included : Path rod 4 pièces - crosswater reel - Rio backing - Rio Mainstream line - Rio leader. Case rod & reel combo included. Rod lifetime warranty.